MSI, a Taiwanese computer hardware company, recently announced its GS gaming series of gaming laptop – the GS65 Stealth Thin – which is powered by the latest 8th Gen Intel Core i7 Coffee Lake processor. The GS65 Stealth Thin is the first gaming notebook to feature a 15.6-inch, 144Hz 7ms wide-view angle display with 4.9mm bezels. This allows the new MSI device to achieve an impressive 82% screen-to-body ratio. The laptop is 17.9mm thin and only weighs 1.88Kg. While the bezels are extremely thin, the company has confirmed that the webcam placement was not compromised, instead it just left enough room on the top bezel so that the webcam can be placed in its native position. As a result, this makes the GS65 Stealth Thin a pretty slim and light weight gaming laptop, in comparison to conventional gaming notebooks. The laptop is powered by Intel’s 8th generation Core i7 processor with six physical cores, 16GB DDR4 2400MHz RAM, 256GB SSD NVMe, and GTX 1070 with NVIDIA Max-Q technology. “The GT75 Titan is the first gaming laptop to ever feature Intel Core i9 processors with fully unlocked hexa-core performance,” the company claimed. Further, the 82-watt-hour battery provides in excess of eight hours of battery life on a single charge. The GS65 Stealth Thin also includes the new per-key RGB keyboard designed by SteelSeries, which allows the users to customize the look to their liking. Users can customize each key and receive real-time game standings through keyboard lighting. It also comes with a fast mechanical RGB keyboard by SteelSeries and Killer DoubleShot Pro with 10Gbps Killer Ethernet and Killer Wireless-AC 1550. Also, the clean and clever hinge design allows the screen to be tilted to 180 degrees. MSI is working out a huge update for Dragon Center 2.0, which will include an exclusive gaming mode. The device comes with MSI’s Cooler Boost Trinity thermal management solution, which implements separate heat emission systems for the CPU and GPU. The laptop also features dual 2W speakers by Dynaudio with Hi-Res audio support for up to 24-bit audio file playback with 192kHz bitrate, and is backed by MSI’s Nahimic 3 audio technology for 360-degree virtual surround sound experience. 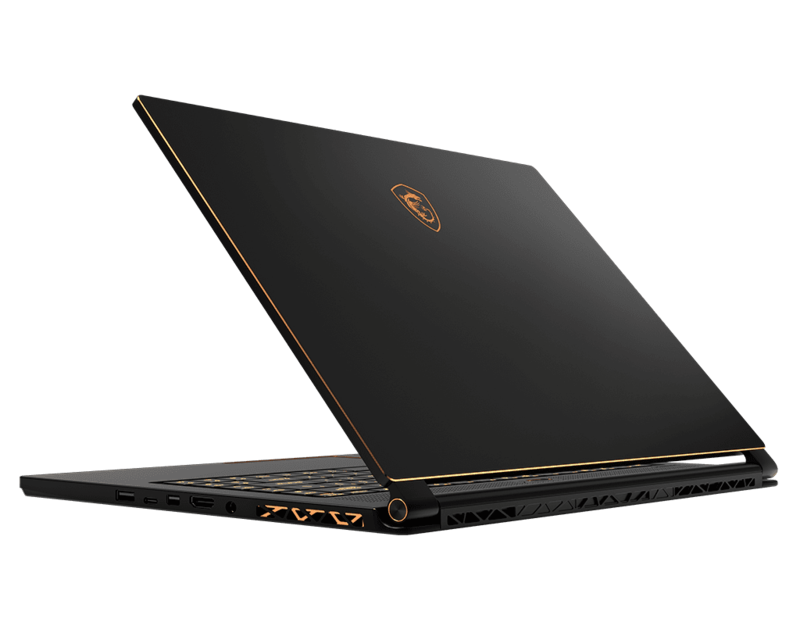 The GS65 Stealth Thin has a matte black frame that is edged in gold. The GS65 Stealth Thin is now currently available for pre-order from Amazon and Newegg. It is expected to be available in other online websites and in-store sometime towards the end of the month. The laptop starts at $1,799 and comes equipped with a GTX 1060 GPU. For those looking for more power, can upgrade the GPU to the GeForce GTX 1070 Max-Q and get the device for $2,099. 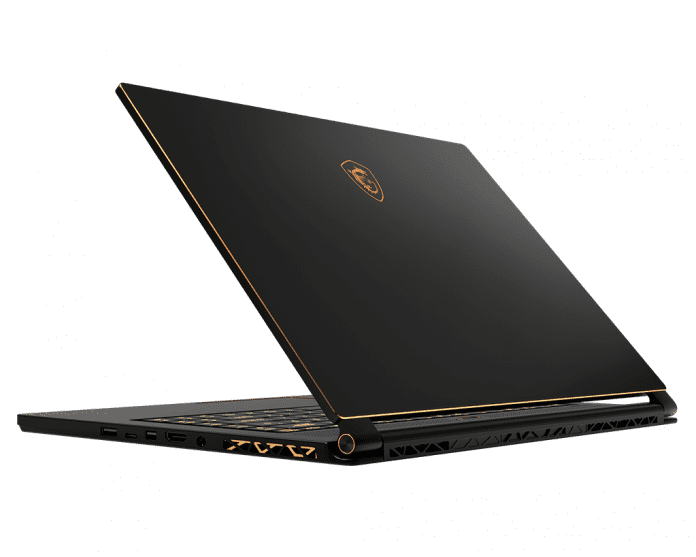 Besides, the GS65 Stealth Thin, MSI also unveiled the GT75VR Titan, which is the company;s first laptop sporting an Intel i9 processor and GE Raider RGB Edition. The manufacturer also revealed the new GT83 Titan and GT63 Titan, as well as updates to its GP, GL and GV line of gaming laptops.